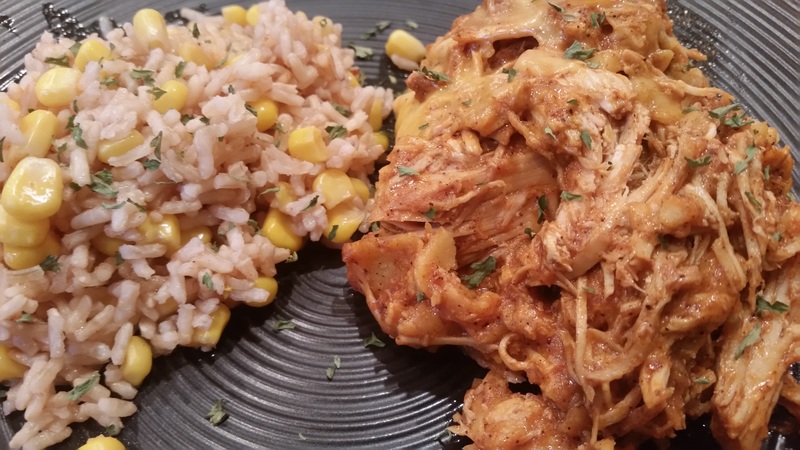 Slow Cooker Chicken Enchilada Casserole – What's for Dinner Moms? 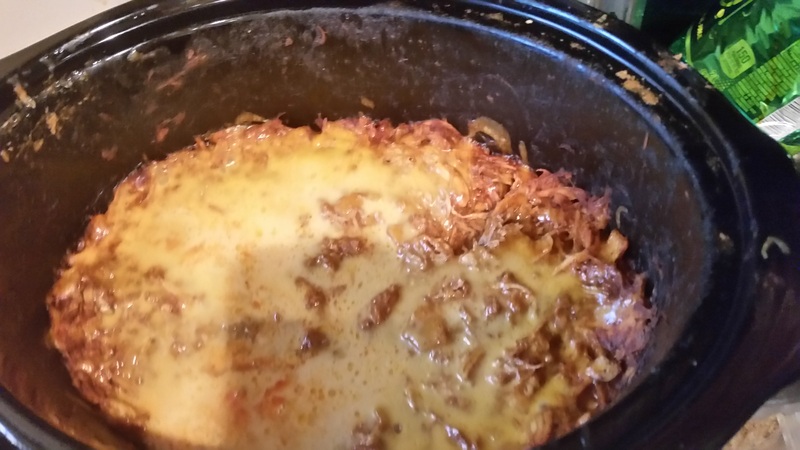 I made the Enchilada Sauce the other day then I made this Slow Cooker Enchilada Casserole with the sauce. You can make both the sauce and casserole on the same day or make the sauce one day and the casserole the next. Whatever will best fit into your schedule. This was a delicious spicy dish! It had all the pieces of Chicken Enchiladas without the rolling and I didn’t need to cook and shred the chicken first before rolling the enchiladas. The dish will be as spicy as your sauce so make it as hot and spicy or as tame as you like. Both kids have asked me to make this dish again soon. I served this with sour cream and a sprinkle of cheese for the topping, a hearty green salad and Mexican rice on the side. Place chicken breasts in bottom of slow cooker bowl. Cover with Enchilada sauce. Cover and cook for 7-8 hours on low. Shred chicken using two forks. Add tortilla strips and 1 cup of cheese to the chicken. Stir well. Flatten mixture with the back of a fork. Sprinkle remaining cheese over the top. Cover and cook on low for an additional 30-40 minutes until cheese has melted and is bubbly around the edges. Serve topped with sour cream and additional cheese if desired. Never thought of making this in a crockpot! Great recipe! A lovely recipe, Marci. I love spicy chicken dishes. Oh, this looks so good! I need a slow cooker. You provided such great recipes lately! I really have to check them out!! It would need one like those!! Thank you so much, Lynn. That means so very much to me. Have you ever thought of publishing a Cookbook. You deliver some very delicious looking and easy to make recipes. Thank you, Sylvester! That is a very sweet thought.